In the early days of WordPress, it was normally used for blogging online. However, things have changed drastically over time as WordPress has advanced into a complete content management system capable of powering just any kind of website including e-commerce website. It is important to note that although WordPress website can be an e-commerce platform, it may not be a good fit for all situations. However, let us see some of the reasons to consider using the WordPress platform. You do not want to use e-commerce platforms like BigCommerce since you are required to pay monthly transaction fees by using them. You want a complicated payment system where you have a fully integrated system that would run without developers help. WooCommerce may be able to do this but the problem is that it could be complicated. If the reasons above fit into your demands, then this guide is for you. This guide is written to cover exactly how you can set up an e-commerce website in WordPress with WooCommerce Plugin. Having said that, let’s look at the steps in details. Why should you go with WooCommerce and products you can create? Variable Products: This is where you sell products with a lot of variables like colors, sizes, materials among others. External Products: This is an affiliate product link with links to where the product is sold. Grouped Products: This is a set up where a collection of products that are related are grouped together and sold individually. The first thing to do to create an e-commerce website is to install WordPress on a hosting account using your domain name. 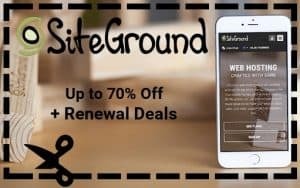 For domain names, you can actually get a good domain name that would suit your website needs on places like Siteground. Domain names should be short, simple and reflect the type of service you are offering. Once the issue of domain names and hosting is sorted, you can install WordPress on your hosting account and begin from there. There are a lot of hosting service available you can use and that would depend on the size of the memory for your website. It is important to remember that e-commerce websites need more memory space for PHP than normal sites and since it could have thousands of products and visitors, it is vital to factor them when choosing a hosting account. Example of hosting accounts are Hostgator, Bluehost, Siteground and other options. (You can search for more). After getting your domain name and hosting, it is time to install WordPress on your hosting account using your domain name to get started. What are The WordPress Ecommerce Options? First of all, it is important to mention that a website qualifies to be an e-commerce website if it has three things. They are the shopping cart, product pages, and checkout process. These are what differentiate e-commerce websites with just an ordinary WordPress website. To make this work, you are expected to add these functions to your WordPress website using a plugin. For the benefit of those who get confused by the term plugin, it is simply a kind of software that you can install on your WordPress website and the essence is to improve on the functionality of the website. 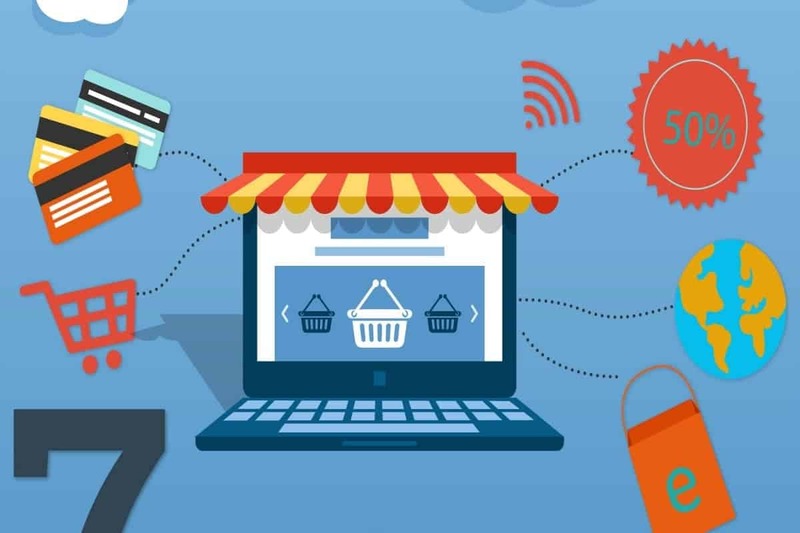 In an e-commerce website, there is need to install a plugin which has the capability of creating custom product pages, introduce shopping cart functionality in such a way that allows any visitor to add products to the cart while shopping on the site. In addition, the plugin should synchronize the added product in the cart with a payment function that calculates the product purchased by the visitors. 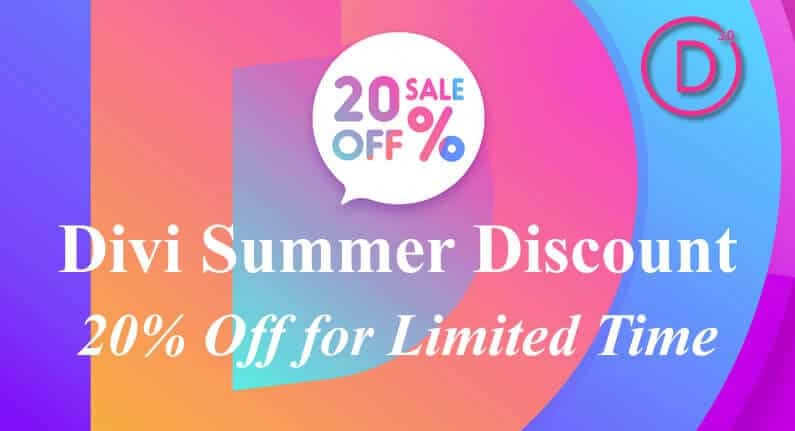 Note that there are a lot of plugins that can produce these functionalities but the most recommended are the WooCommerce produced by WooThemes. It is backed up by a very reputable company. WooThemes the creator of WooCommerce is a well known reputable company that has contributed to the WordPress community for years. It has been known to support WordPress foundation for years. WooCommerce has the required support and versatility you will likely need in the process. Shipping and tax will require that you customize it at some point but initially, you can enter it in general settings in order for the store to start. Enter payment options. Note that this area is one of the most important areas when it comes to running and e-commerce store. Paypal can be used for a start but you can still explore as many options as you can in the settings. Go through the product page to see what you will need. However, you are to ensure that your URL structure is stored correctly and the theme is well integrated with the new functionality of the e-commerce website. Failing to do this will result in unwanted issues. 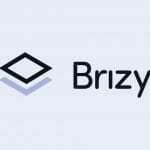 It is also important to note that there are also a lot of other plugins that would likely synchronize with the WooCommerce plugin and it is important to note them down. Examples of these plugins are Analytics and Yoast SEO. They are a very powerful tool used for tracking and they are free. Search for WooCommerce Google Analytics Integration. Once found, install and activate it. Setting up your online store structure should be the next thing to do because online stores have a lot of ways to display products. The bad thing is that it could sometimes generate some ugly and inefficient URLs that are unfriendly to search engines for your product categories. However, the combination of WooCommerce and WordPress makes the efficient set up of these permanent links possible. But note that it is difficult to change the permalink structure once it has been set up. It is important to always confirm them even though the default settings are generally good. It is important to note that WooCommerce will need a product archive page which will be used to display all your products. It is like having a blog display all the posts you have made but this time, we are talking of products. However, WooCommerce will make this archive using the standard WordPress page and name it to shop page by default. You can always edit the name if you do not like it to be called shop page by going to pages. All pages and call it whatever suits you. There may not be any need for your visitors to see it and you can make it your homepage if you desire but the point is that it really has to be in place. Then click on the link to see your product permalinks. There is nothing wrong in using the default settings but at some point you may just have to customize it by putting the product option under the permalink of the product especially when aesthetics is desired. The major work is now done as your online store set up is done. You can now navigate to the created product links in the dashboard of WordPress to create a category or product and see the look or appearance of the URLs before your proceed. 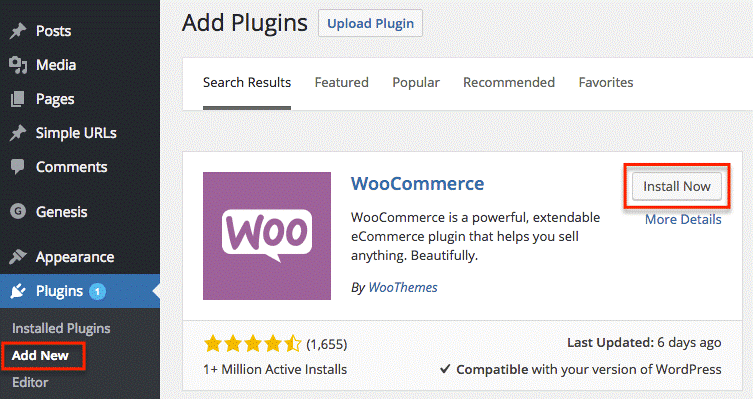 It is important to make sure that your WordPress Theme is very compatible with WooCommerce. This is because most things you do will not work if they are incompatible. It is important to understand the difference between Themes and Plugins to appreciate why both are very vital. Note that Themes will control the output of your functionality and these are what your visitors are actually going to see while WordPress is more of controlling the functionality of your website. Note that WooCommerce is a very superior plugin and there is some functionality that some Themes cannot handle correctly. This is why it is important to always select Themes that would not show product pages as ugly. With that in mind, you will also want a Theme that is versatile in the sense that it can be upgraded or updated and give you exactly what you want. WooThemes Theme- They are good themes that are perfectly aligned with WooCommerce but they are not free. However, if you have the funds, this seems to be the best especially as it has a lot of support. WordPress default Theme- There are also good WordPress Themes every suitable for this purpose. For example, a Theme like Twenty-Twenty is very good and it is also free. Sometimes, it may come with your installation but if it does not, you can always get it through Themes> Add New. It is free but at the same time, it will give you what you need. Marketplace Themes- If you want and if you have the funds, there are a lot of quality Themes at the marketplace that are compatible with WooCommerce. For example, there is ThemeForest which is well equipped to handle WooCommerce features. However, when going to the marketplace to find themes always ensure that you define exactly what you want because many may just be exaggerated. Another way to solve the issue of good themes is by getting a framework such as Genesis by studio press. It is good and syncs very well with WooCommerce plugins. It also allows for easy changes without having to impact on your overall site. But one thing you must note about Genesis is that it takes a little more work to sync it up with WooCommerce. You can check it outside this guide as it is not our main focus. 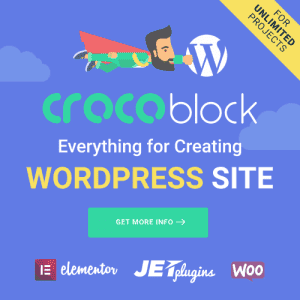 However, if this is a little complicated than expected, the WooThemes are a good fit especially as it is just a plug and play plus automatic sync with WooCommerce. You can do general store settings for your store. 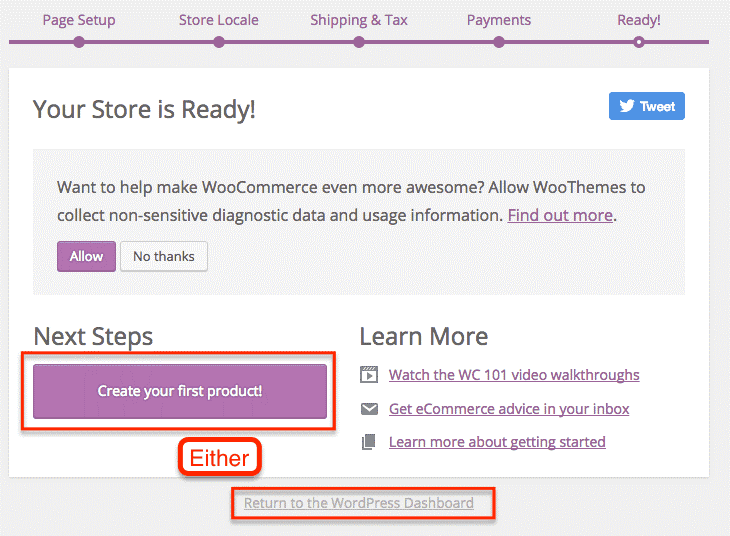 First, go to the WooCommerce link found in the dashboard menu. Go to settings and find the General Tab. 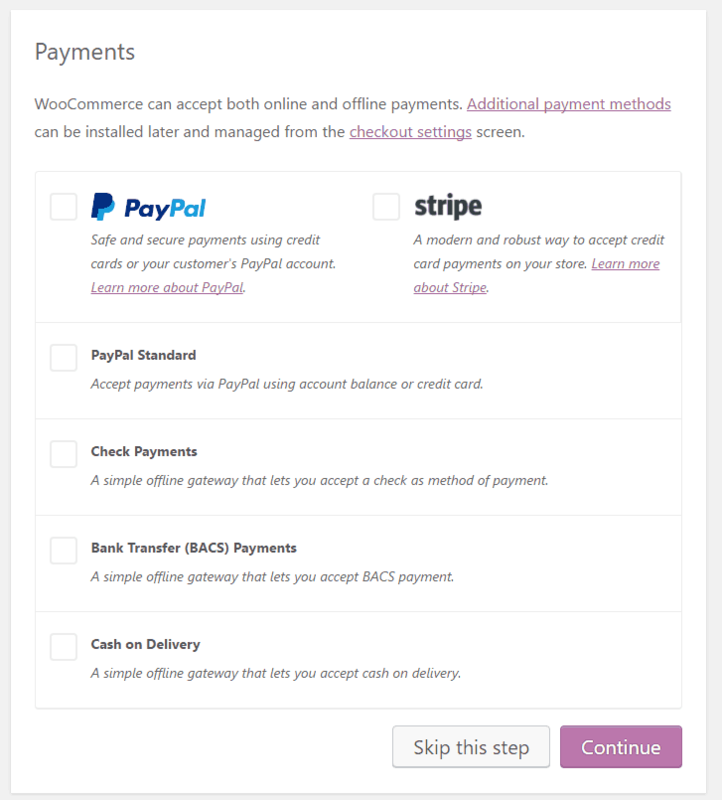 When you get there, you will notice the default settings which may have been set up by WooCommerce. You can check every one of them because of a truth; some may not be a good fit for what you want. To do that, click through each of the sections and subsections to check them. 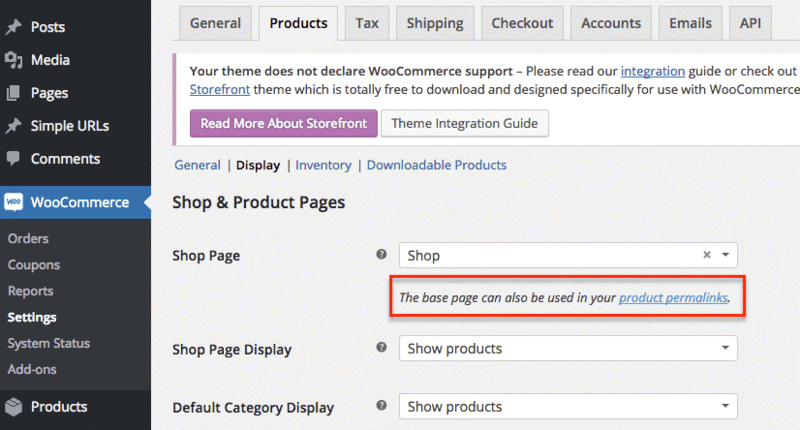 WooCommerce comes with built in styling that is used for buttons and borders. You can customize them to your taste if you want to. You can also enable lightbox which allows any visitor clicking on your product images to see them in a zoom form without having to leave the product page. When setting product images, check for sizes, the shape and how it is seen overall. Check if it should be scaled down. Here WooCommerce will allow you to set single product image, catalog images and also product Thumbnails. The good thing is that most of the settings required as just self-explanatory and that means you will be clear about it as you go through them. However, ensure you are paying good attention to details and check on all options being thrown up by WooCommerce. Go through all the settings and customize as you want it to be. Note that some tabs require full understanding when setting up your online store. For example, you have the System status where the information from allocated memory to the version number. Then if for any reason you need to reset your store entirely, then it can be done at the Tools tab but you may never need it. 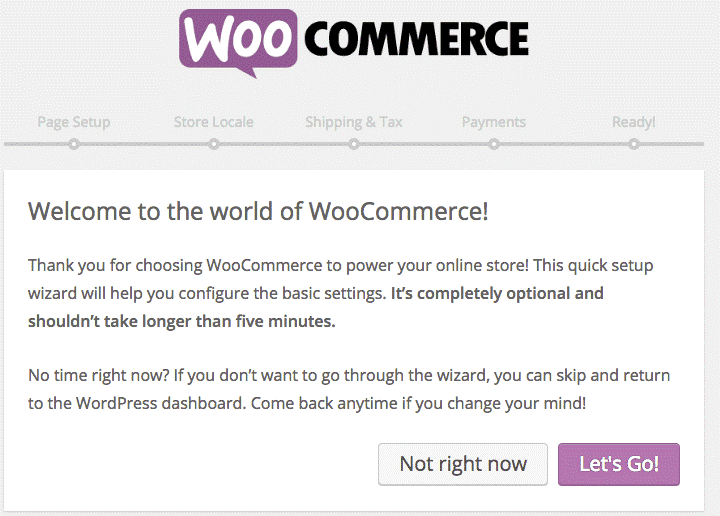 Then you have the WooCommerce Add-ons and to a lot of people, this is like the magic box of the whole thing. Normally building an e-commerce generally will require you to have a developer who will program some functionality but with WooCommerce, everything is just like plug_and_play. WooCommerce gives you a lot of access to enough extensions that you can work with. Most of the extensions may not be free but it is way cheaper than most of the custom solutions that you may need generally. Some of these WooCommerce extensions can be found in the market place and they can be added easily. With your e-commerce store on WordPress now functional, let us see how to set up product pages. However, the main area of the product page has to be the data widget. This is actually the area where the product information is set. For example, the price of the product, the type of the product, shipping and other relevant information. Your products can be organized directly from the product page and you also have the choice to organize them as a whole product from the menu. Finally, there are a lot of things you can do on your e-commerce websites like customized shipping policies capturing rates that are based on bulk, weight, and distance. Creating an e-commerce website from WordPress does not have to be difficult if you get serious about it. It may look like a difficult thing to do but this guide has tried to simplify things to the minimum for proper understanding. As long as you love the WooCommerce features, creating your online e-commerce store using WordPress is just the best for you. Read this guide over again and you will be surprised to create something you may never have dreamt of. Read this guide over again and you will be surprised to create something you may never have dreamt of. I’m in South Africa but wish to target USA customers and get paid in dollars. 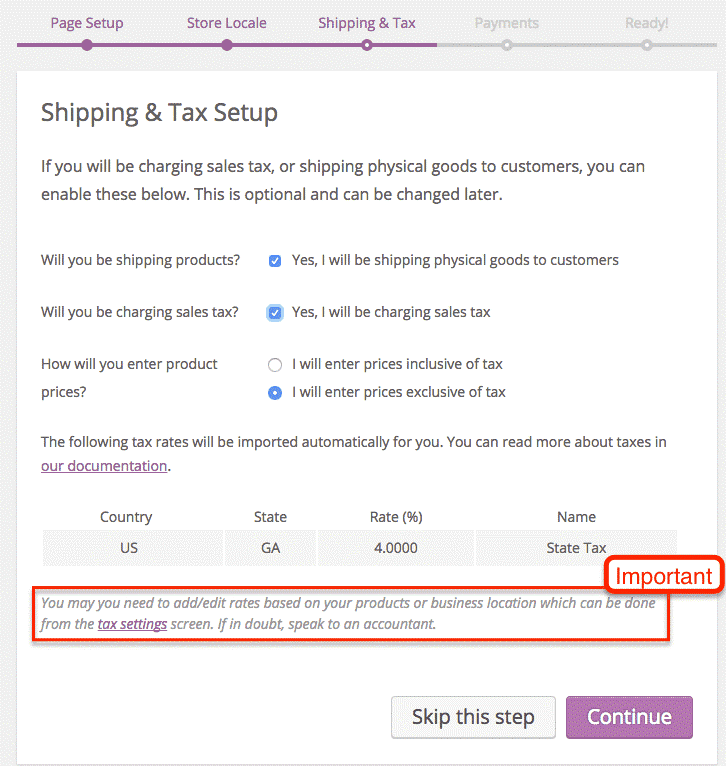 Now, when setting up WooCommerce > “Where is your store based”, do I enter “United States”? If so, what should I do about the address? Would there be confusion if I entered my SA address?